DCWV 6 x 6 GLITZY Cardstock Stack PS-005-00568 at Simon Says STAMP! PS-005-00568 This item is on reserve until If you would like to reserve this item now, you may purchase it now with the rest of your order. We will hold your order now and ship your entire order as soon as this item is back into stock. If you would like your order to ship now, please place this item on a separate order. Success, DCWV 6 x 6 GLITZY Cardstock Stack PS-005-00568 has been shared! 24 sheets of glitzy 6 x 6 inch cardstock. Die Cuts With a View, better known as DCWV was founded over 20 years ago by Nancy Hill. As a crafter, she began to manufacture beautiful sets of die cut shapes in the themes, colors, and varieties that were missing in the marketplace. 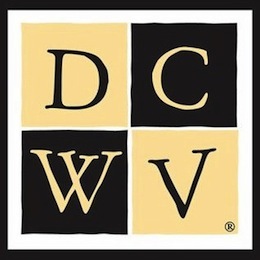 With the years of hard work, determination, and a passion for success that would follow, DCWV has evolved from its humble beginnings of a basement room and a staff of stay-at-home moms into an industry leader in the paper crafting, home decor, bead, and jewelry markets. DCWV strives to create products that are easy to use, timeless in their design, and affordable to the consumer. DCWV has created some exciting new products, some of which are made with materials unheard of in a paper stack. Chalkboard on paper, adhesive fabric, and rhinestone accents are just a few of the remarkable materials you will see in their collections.